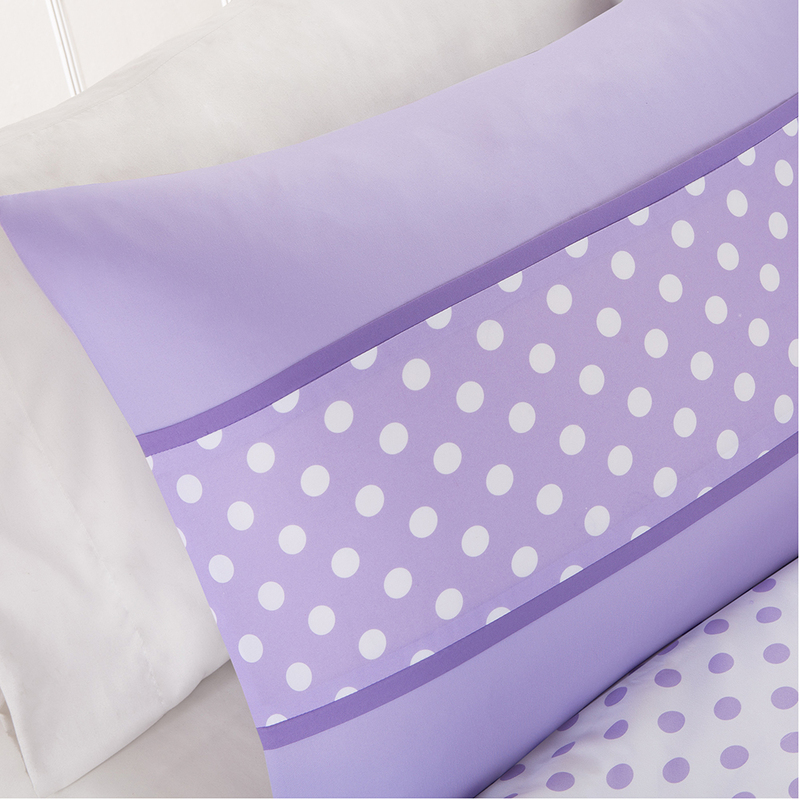 This trendy bedding is for the girl that loves purple and polka dots! 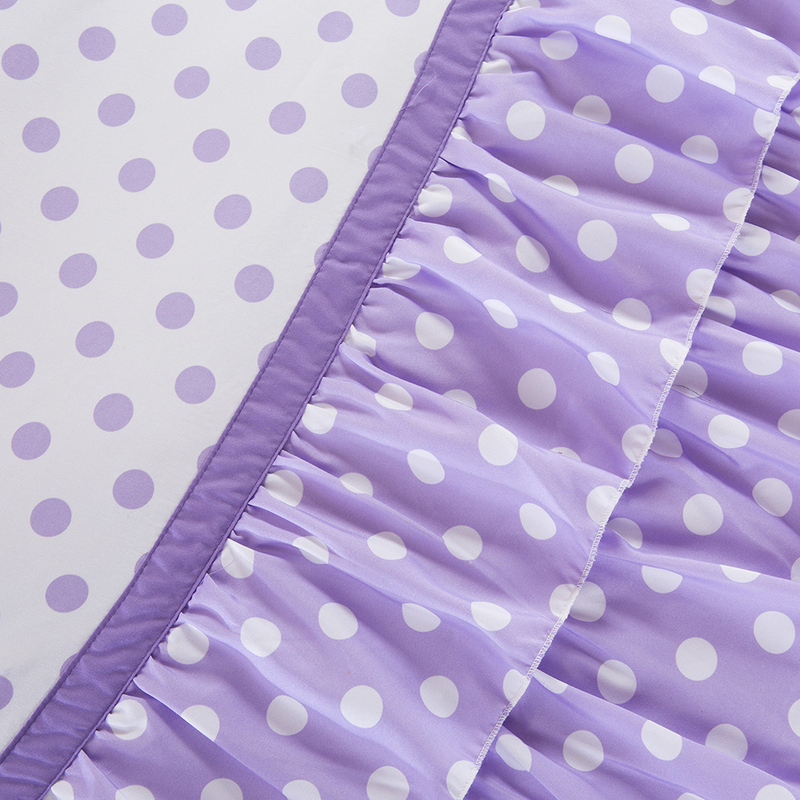 The top three-quarters of the comforter feature a white background with purple polka dots, and the bottom quarter has purple ruffles with white polka dots. The purple decorative pillow features a geometric white embroidered pattern for the perfect touch to her room!